关键词: 地表"矿物膜" 水钠锰矿 元素Ce 矿物光电子 地球"新圈层"
Abstract: The terrestrial system on Earth surface is a very complicated open system, where the sunlight, air, water, organic acids, inorganic acids/salts, minerals and microorganisms are always closely interacting with each other. And these natural interactions still await further scientific investigations. 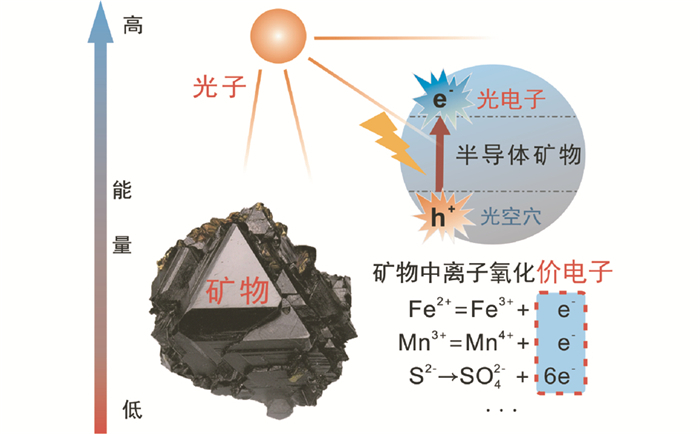 Based on the cross-field research methods of environmental mineralogy, semiconducting physics and photoelectron-chemistry, this study revealed a ferromanganese "mineral membrane" widely developed on rock and soil surfaces and directly exposed under sunlight, in such various typical terrestrial environments as Gobi desert, karst regions and red soils areas. This "mineral membrane" is usually of several tens of nanometer to hundreds of micrometer in thickness. 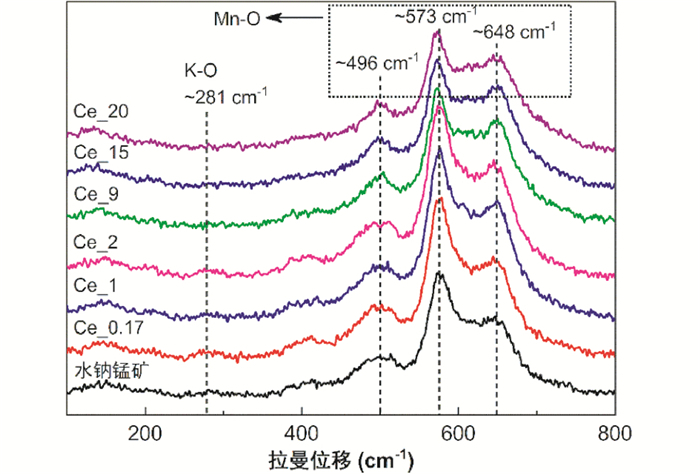 The fine structural characteristics of the Mn oxides in "mineral membrane" were investigated, and the prevalent existence of layered-type birnessite was proved. 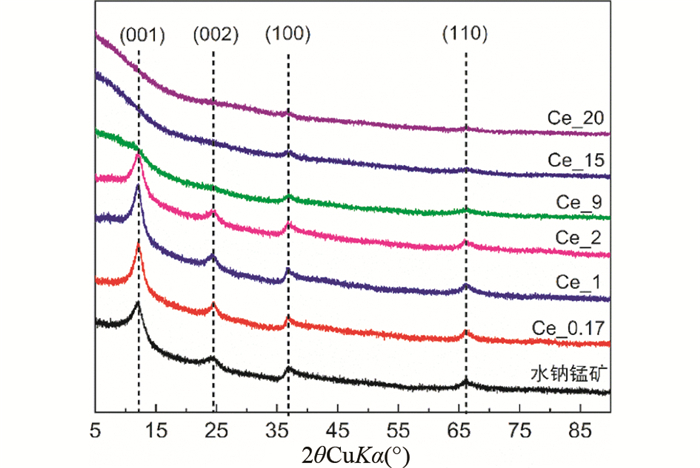 Besides, the rare earth element Ce was found to be structurally-correlated with birnessite in "mineral membrane", which could promote its semiconducting function. The "mineral membrane" is always developed on the surface sides of rocks rather than the reverse sides, indicating a direct correspondence with sunlight exposure. As revealed by photoelectron-chemistry experiments, electrodes made of natural "mineral membrane" powders could generate remarkable photocurrents under illumination of visible light, whereas the rock substrates and quartz and feldspar minerals could barely achieve that. 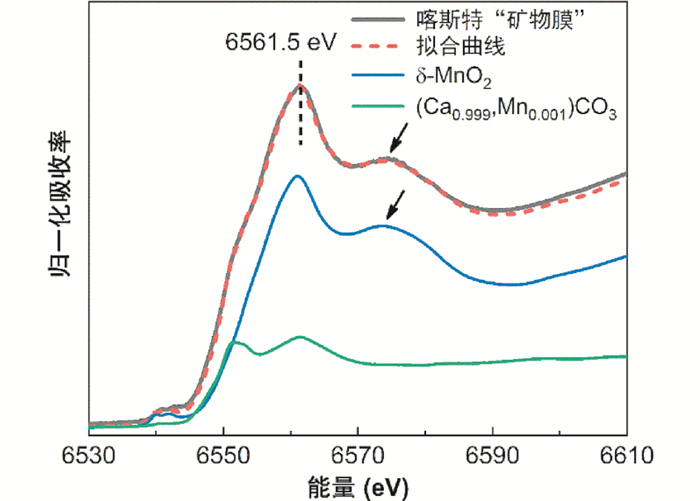 These results indicated the generation of photocurrent was mainly due to the Fe- and Mn-oxides. 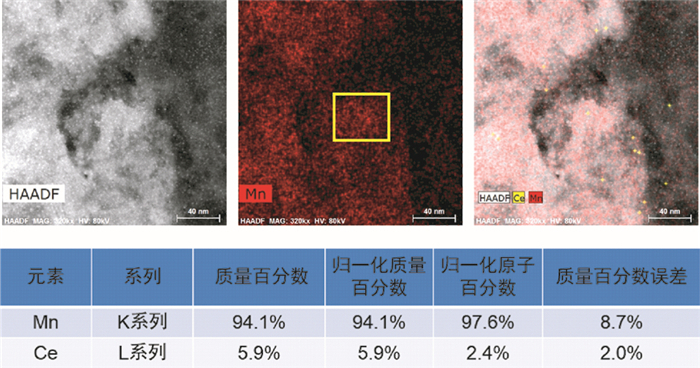 Further measurements showed the bandgap of main Fe- and Mn-oxides in "mineral membrane" are all below 2.5eV, suggesting they are all visible light responsive semiconducting minerals. Based on the worldwide average solar irradiation intensity of 100mW/cm2 and the global distribution areas of "mineral membrane", it was estimated that the energy mass of solar energy converted to biomass energy by "mineral membrane" could parallel with the global sugar production of the year 2017 (192 million tons). Last but not least, the ferromanganese "mineral membrane" not only spreads on land surface but also reaches out to the marine euphotic zones. "Mineral membrane" of the Earth surface functions as the fourth great layer section, named here "new sphere" of the Earth, following the earth's core, mantle and crust, and as the critical zone promoting external-power geological processes under solar irradiation. We therefore proposed that the three main energy forms on Earth surface as photoelectrons from "mineral membrane", solar photons and valence electrons of elements. The photoelectrons from "mineral membrane" can participate varieties of biogeochemical processes, and make a ubiquitous and profound impact on the matter cycling on planets' surface. 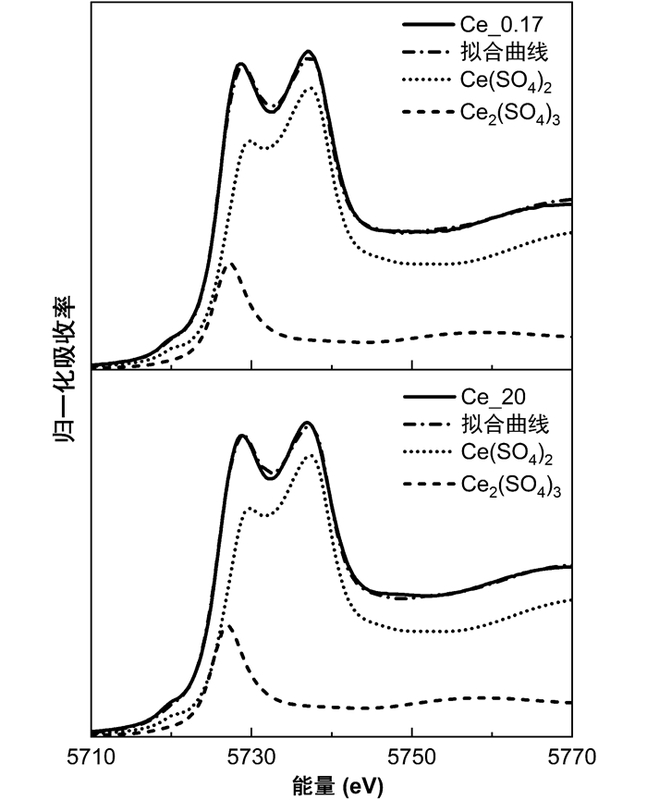 Key words: "Mineral membrane" Birnessite Element of Ce Mineral photoelectron "New sphere"
图 6 岩石漆“矿物膜”锰氧化物矿物中Mn与Ce元素含量特征 Fig. 6 The contents of Mn and Ce in Mn oxides of rock varnish "mineral membrane"
Dorn RI. 1991. Rock varnish. American Scientist, 79(6): 542-553. Kirk JTO. 1994. Light and Photosynthesis in Aquatic Ecosystems. Cambridge: Cambridge University Press. Lu AH. 2003. 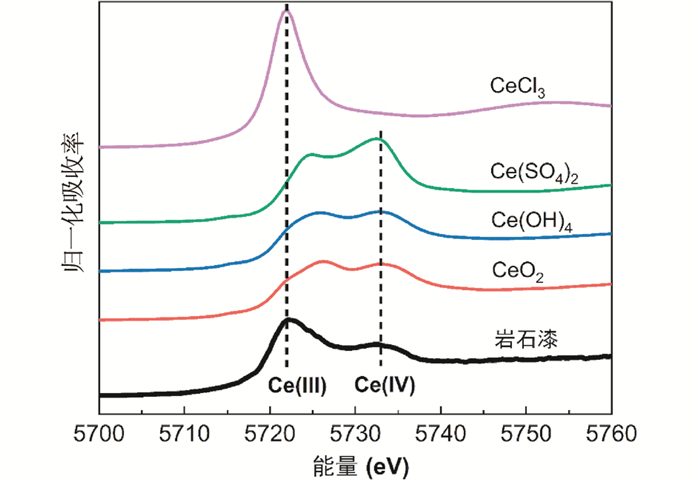 Mineralogical photocatalysis in natural self-purification of inorganic minerals. Acta Petrologica et Mineralogica, 22(4): 323-331. Lu AH, Li Y, Wang X, Ding HR, Zeng CP, Hao RX and Wang CQ. 2013. 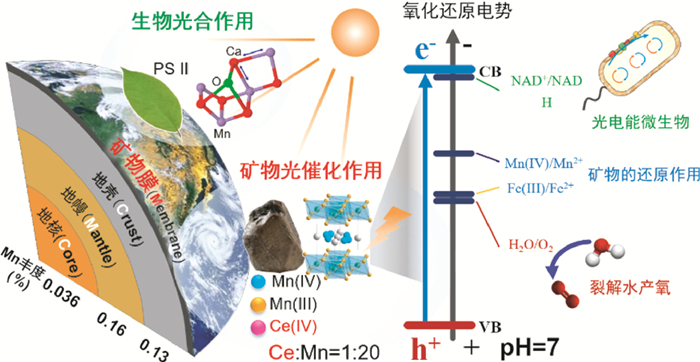 The utilization of solar energy by non-phototrophic microorganisms through semiconducting minerals. Microbiology China, 40(1): 190-202. Lu AH, Li Y, Wang X, Ding HR, Liu Y and Wang CQ. 2014a. 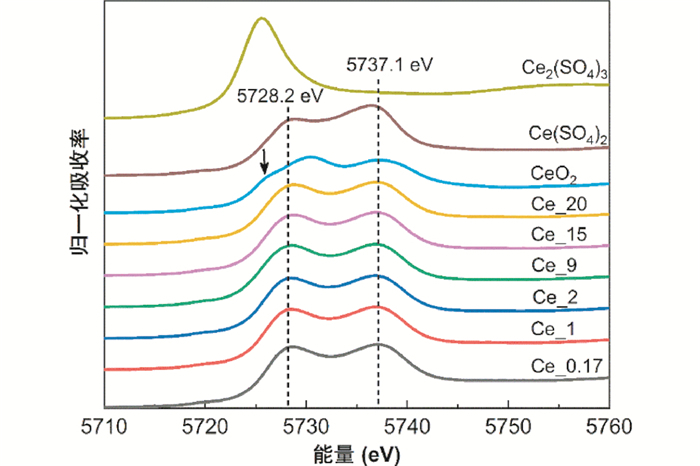 The photoelectron generation from semiconducting minerals and its effects in critical zone. Earth Science Frontiers, 21(3): 256-264. Lu AH, Li Y, Ding HR and Wang CQ. 2018. Mineralogical photoelectrons and minerals and microorganisms synergistic interactions. Bulletin of Mineralogy, Petrology and Geochemistry, 37(1): 1-15. Zhao QY. 1989. Geochemistry of Ocean. Beijing: Geological Publishing House: 1-134. 鲁安怀, 李艳, 王鑫, 丁竑瑞, 曾翠平, 郝瑞霞, 王长秋. 2013. 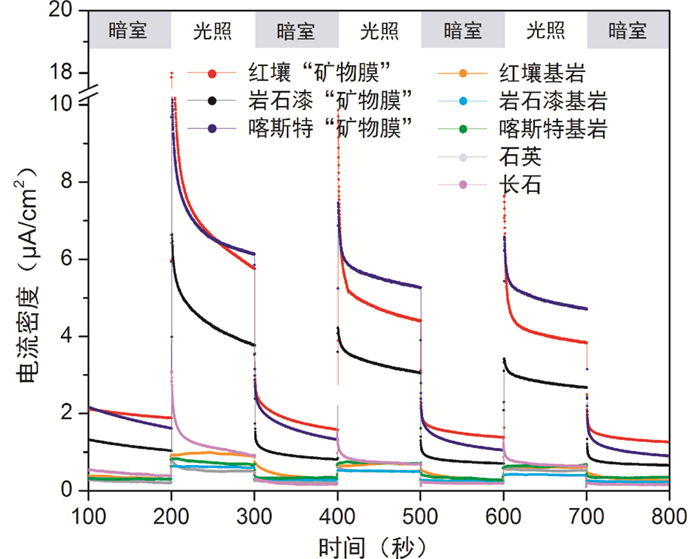 半导体矿物介导非光合微生物利用光电子新途径. 微生物学通报, 40(1): 190-202. 鲁安怀, 李艳, 王鑫, 丁竑瑞, 刘熠, 王长秋. 2014a. 关键带中天然半导体矿物光电子的产生与作用. 地学前缘, 21(3): 256-264. 鲁安怀, 王鑫, 李艳, 丁竑瑞, 王长秋, 曾翠平, 郝瑞霞, 杨晓雪. 2014b. 矿物光电子与地球早期生命起源及演化初探. 中国科学(地球科学), 44(6): 1117-1123. 鲁安怀, 李艳, 丁竑瑞, 王长秋. 2018. 矿物光电子能量及矿物与微生物协同作用. 矿物岩石地球化学通报, 37(1): 1-15. 赵其渊. 1989. 海洋地球化学. 北京: 地质出版社: 1-134.